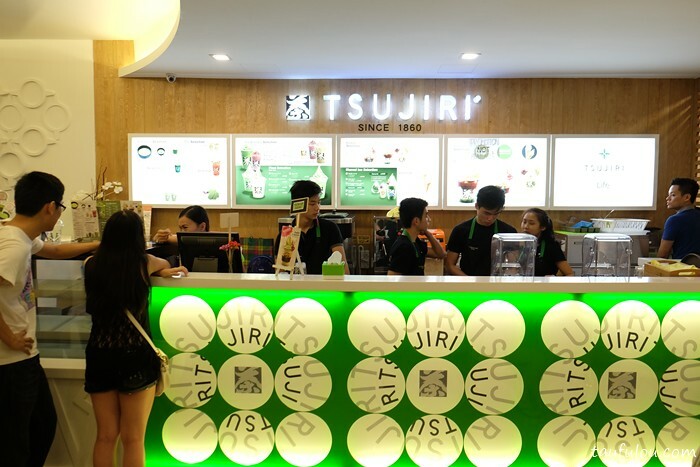 Hail all the way from Kyoto where Tsujiri tea house is one of a well know green tea place in Japan and now have opens its first outlet in Malaysia. 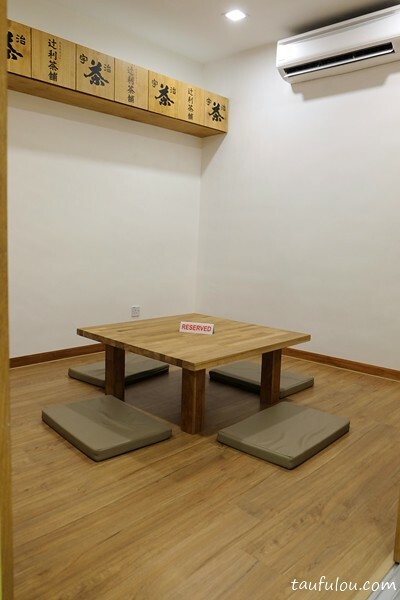 Their historical trail, trace back with a 150-year-old legacy originally pioneered by Japanese tea innovator Riemon Tsuji in the late Edo period of the 1860s. 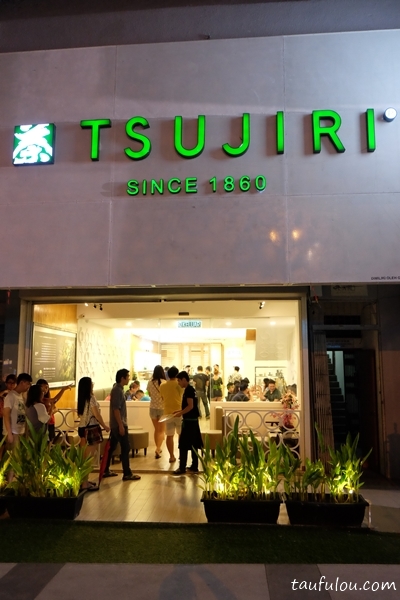 In this outlet, they are offerings Uji-origin tea, or combination of flavours with matcha & hojicha in soft serves, parfaits & shaved ice desserts. 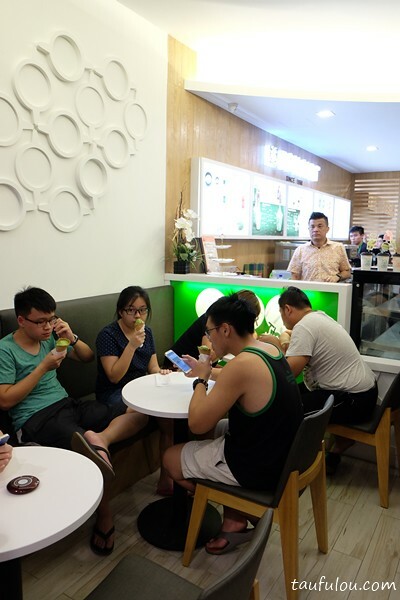 They have recently make a wave in social media that have attracted many foodie to try out their series. 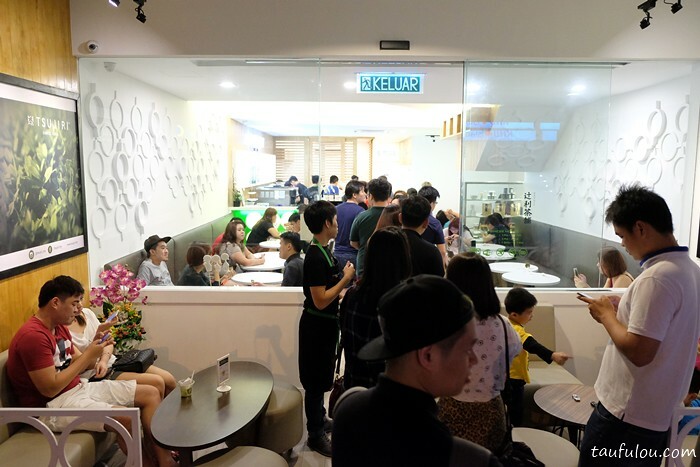 Queue is quite crazy where average waiting time in queue can be 10 minutes – 30 minutes, depending on your luck. Menu is pretty straight forward as on that night, there were a few series of items were not available, I believe due to crowd control and easy management for the outlet. 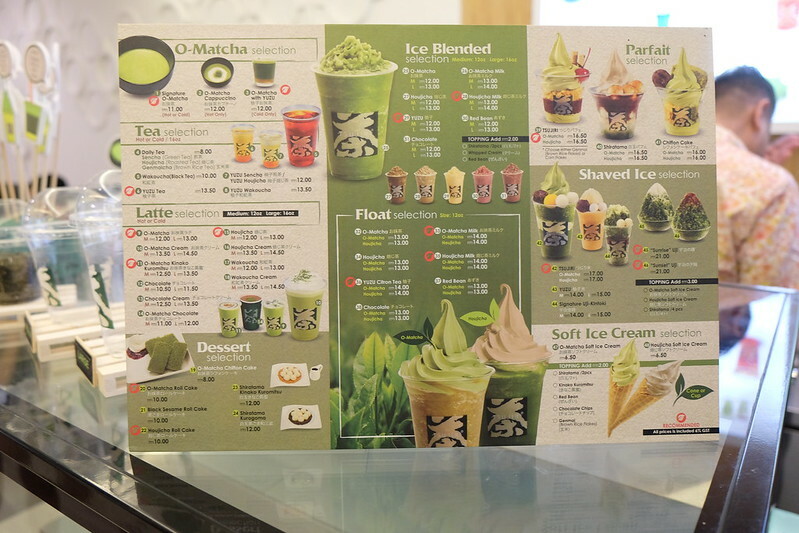 We ordered their signature parfait selection which is Shiratama O-Matcha @ RM 16.50 (where red bean is not available) and I find that the combination is slightly weird, where with cornflakes and the rice ball is plain and slightly big in size. 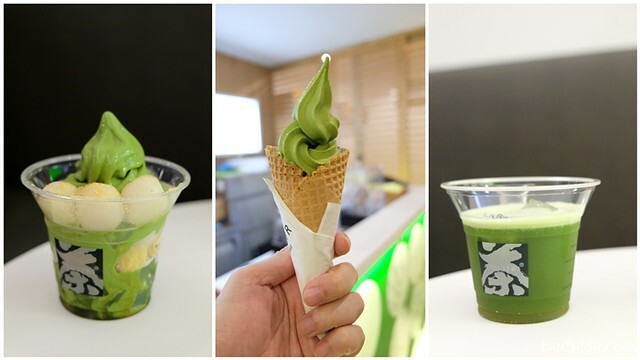 Melt pretty fast too.. Then got a soft serve ice cream O-Matcha flavour @ RM 6.50 where Houjicha is not available. A normal green tea flavoured where I have enjoyed nicer one before. Cone were soft where we did not finish it. 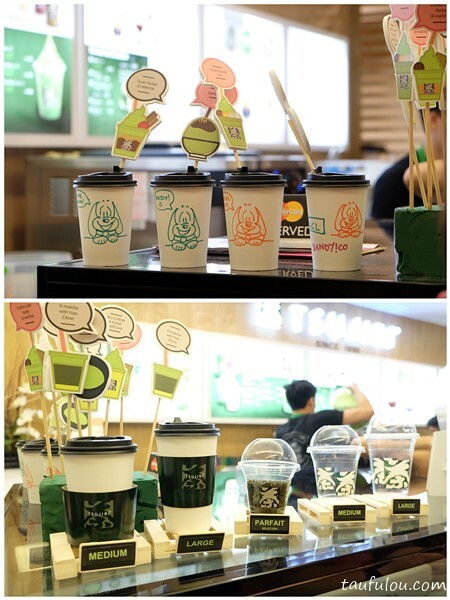 Then try out their drink signature series that we recommended by the lady O-Matcha with Yuzu @ RM 12. I think i could not taste the flavour of Yuzu. 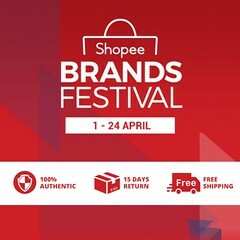 Overall, I think it is very overrated at the moment where to many people that is flocking this outlet and price is definitely on the steep side. Oh well, it is good for you to go and try once as there are mix feedback as some say they love it. Shall leave it to your end to decide.